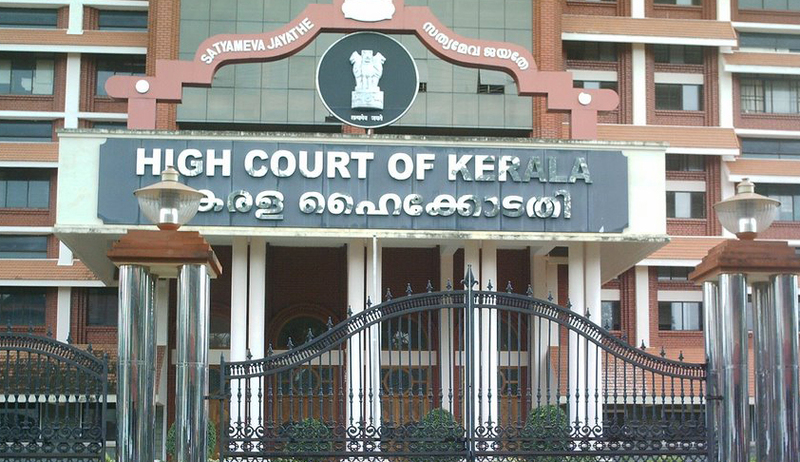 The Kerala High Court has held in a recent judgment [KHDFC Bank Limited Vs. Prestige Educational Trust] that the bar on the jurisdiction of the civil court to entertain a suit and grant injunction under Section 34 of the SARFAESI Act applies only when an order of injunction is attempted to be granted in respect of any action taken or to be taken in pursuance of any power conferred by or under the SARFAESI Act and not where a secured creditor or his authorised officer initiates proceedings under Section 13(2) or 13(4) of the Act as against any asset other than the 'secured asset'. The Kerala High Court speaking through Justice B Kemal Pasha also held that if a creditor is initiating action against an asset, which is not a ‘secured asset’, he cannot be termed as a ‘secured creditor' under the SARFAESI Act. The Court said that if a secured creditor attempts to initiate action against an asset not being a secured asset, such an attempt will not be an exercise of any power conferred by or under the said Act. “In such case, it cannot be said that the civil court has no power to grant an injunction,” ruled Justice B Kemal Pasha. The ruling came in the following fact situation: the plaintiff in O.S.No.116/2011 of the Munsiff's Court, Thalassery, had sought for a decree of perpetual injunction against the defendants or any person claiming through or under the defendants (HDFC Bank), from trying to take possession or taking possession of plaint A schedule property or the buildings thereon, etc. Along with the suit, IA No.890 of 2011 seeking an order of temporary injunction under Order XXXIX Rule 1 of the Code of Civil Procedure, was also filed. The learned Munsiff allowed the said IA and restrained the respondents therein from taking possession of plaint A schedule property and the buildings thereon for the alleged dues payable by the petitioner therein to the respondents therein by way of recovery of the loan. The petitioners took up the matter in appeal through CMA No.51 of 2011, before the Subordinate Judge's Court, Thalassery. The learned Subordinate Judge has also concurred with the findings entered by the learned Munsiff. The said judgment of the Subordinate Court, Thalassery was impugned in the Kerala High Court. The respondent (plaintiff in the suit) contended that the respondent had obtained financial assistance from the erstwhile Lord Krishna Bank which was subsequently amalgamated with the Centurian Bank of Punjab Ltd., which in turn was later amalgamated with the HDFC Bank. Consequently, the assets and liabilities of the Lord Krishna Bank as well as of the Centurian Bank of Punjab Ltd. were taken over by the HDFC Bank. Assuming the status of a 'secured creditor', the HDFC Bank has attempted to proceed against the properties of the respondent by styling it as 'secured assets'. Even though the respondent had obtained financial nursing for the construction of buildings for establishing a Medical College and a Dental College in the plaint B schedule property, according to the respondent, those buildings were put up in plaint A schedule property with the consent of the Bank. According to the respondent, there was reasonable apprehension in the mind of the respondent that under the colour of actions under theSARFAESI Act, the Bank was about to take possession of the plaint A schedule property, which was not one included in the 'secured asset'. In order to protect plaint A schedule property from such proceedings, the above suit has been filed. The Court was thus confronted with the issue as to whether, in a case wherein proceedings under Section 13 of the Securitisation and Reconstruction of Financial Assets and Enforcement of Security Interest Act, 2002 ('SARFAESI Act') are initiated by a secured creditor against any property, which is not a secured asset, the only remedy available to such a person is to have recourse to Section 17 of the said Act? On the facts of the case, the Court held that the jurisdiction of the civil court in entertaining the present suit is not barred.